Now,when you will upload or comment on one of your favorite video on YouTube then this video sharing website will compel you for using your full name (Google+ Account Name).Actually, The video-sharing site is asking users to start using their full name when commenting and uploading videos on YouTube. 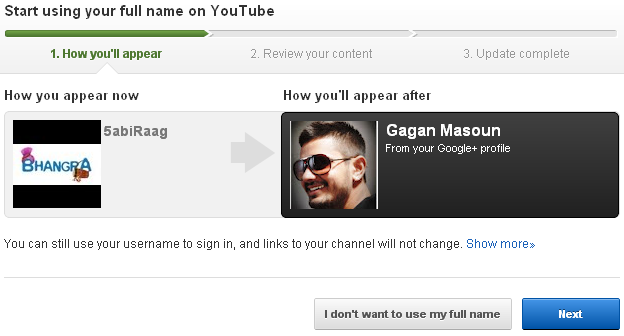 Instead of displaying a username on YouTube, the company wants to show your full name from your Google+ profile and replace your username on YouTube. 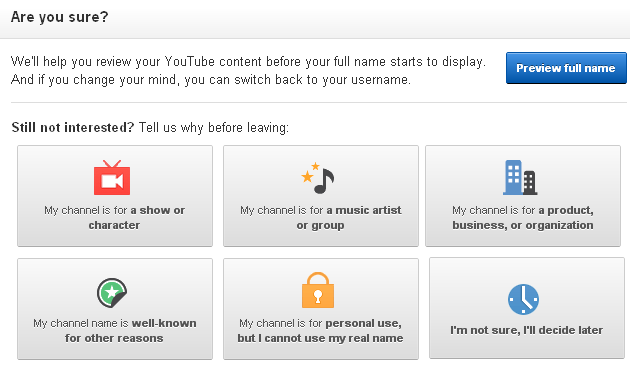 But users that decline this offer must then choose a reason for doing so, such as “my channel is for a music artist or group,personal use,but I can not use my real name or " a show of character etc.